In today’s modern hospitals, it is necessary to have specimens and blood samples move from operating rooms and nursing wards to the laboratory efficiently. 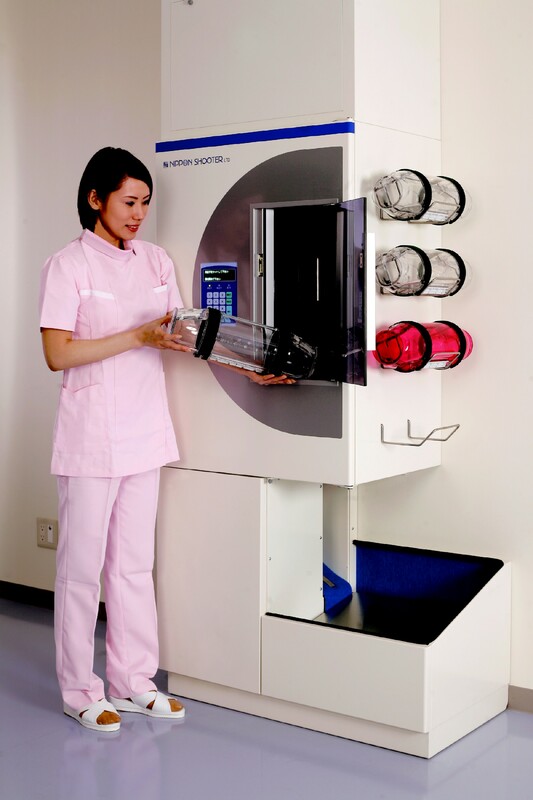 Air shooter ASN is a pneumatic tube system which can transport critical and fragile items safely and rapidly. The large side-opening plastic carrier is suitable for transportation of laboratory with specially designed inner liners and soft delivery feature at station. Also, the Inspection Department that receives carriers with greater frequency has an extraordinary function that takes them out of each materials automatically in order to reduce manpower.